President Barack Obama pushed back against Michael Jordan this week after the former NBA star slammed his “sh–ty” golf game the week before. Speaking on Wisconsin’s WJMR, Obama was more than willing to return the trash talk. Among other things, Obama took a shot at the Charlotte Hornets, the NBA team largely owned by Jordan. “He might want to spend more time thinking about … the Hornets, but that’s another issue,” Obama quipped, according to audio of the interview published by TMZ. 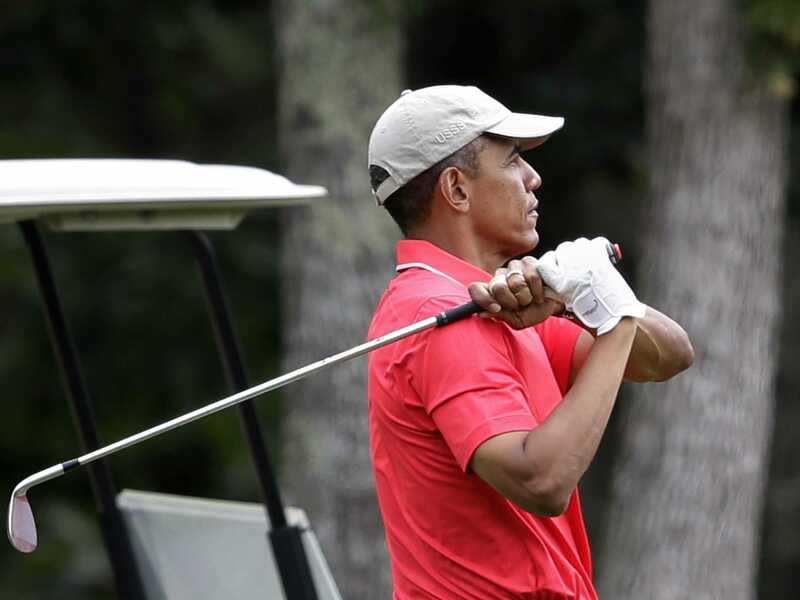 Obama conceded Jordan’s golfing skills were superior to his. However, he suggested Jordan, who has his own pro-am golf tournament, simply had more practice. “There is no doubt that Michael is a better golfer than I am. Of course, if I was playing twice a day for the last 15 years, then that might not be the case,” Obama said. Correction (1:40 p.m.): An earlier version of the post indicated Obama made his comments Tuesday. It appears Obama actually called into the Wisconsin radio station Monday.